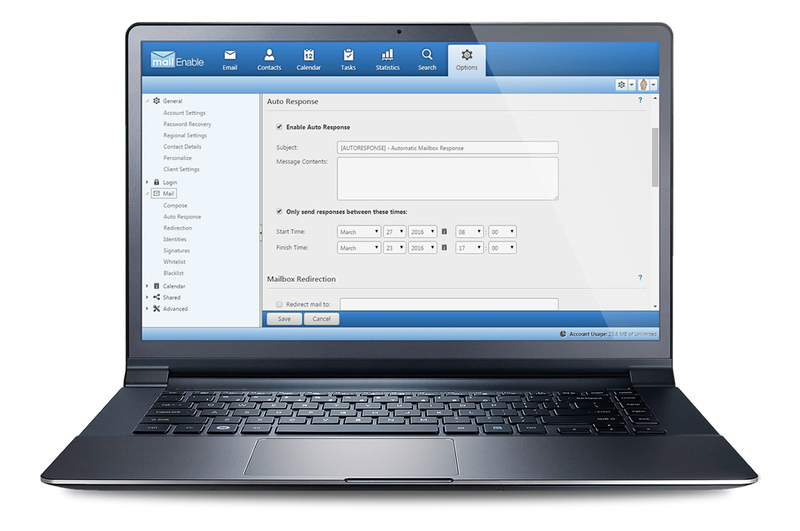 A powerful & scalable solution for hosted email and collaboration. Version 9 Webmail now loads at least twice as fast (achieved by increasing startup responsiveness, object caching and compression). 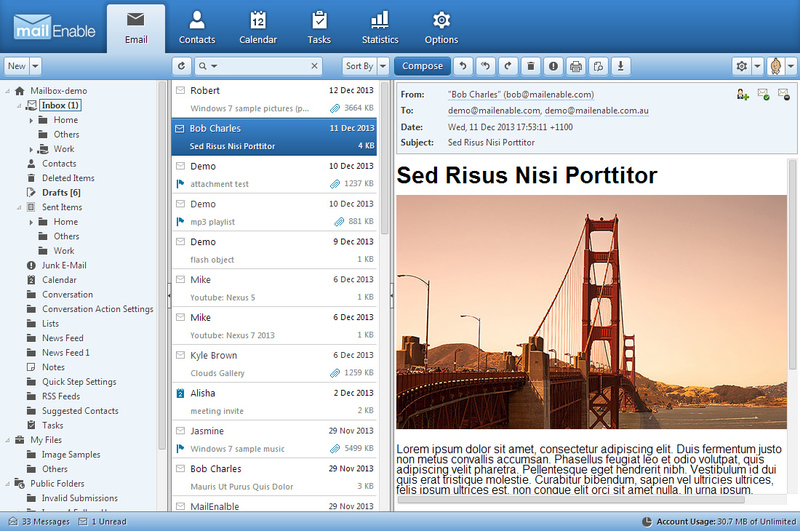 The Webmail client also has a fresh new style, with extra features like the time-window Out-of-Office (Auto-Responder). 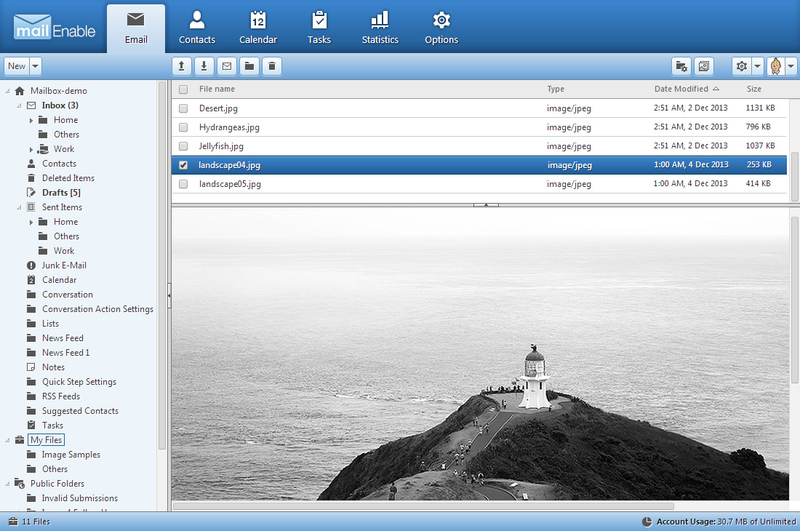 Users are now also able to upload multiple attachments in a single operation and can use an archiving wizard to manage large folders. Administrators can now easily manage MailEnable with single line PowerShell commands. It takes only one line to add a new Postoffice/Domain under MailEnable. New-MailEnablePostoffice -Domain "example.com" -Postoffice "example.com" -AdminUserName "ADMIN" -Password "pwd1234"
You can also now write simple scripts to perform batch operations across the MailEnable platform. 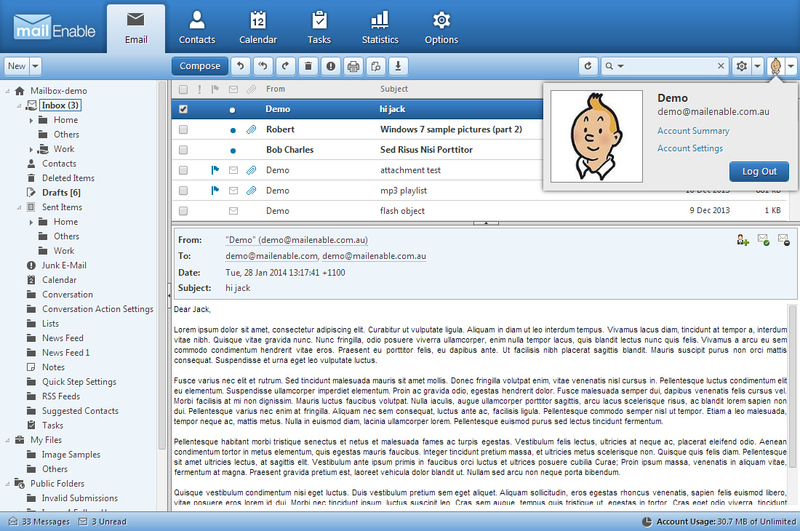 Other than Microsoft, MailEnable appears to be the only Windows based messaging and collaboration platform to provide this level of PowerShell integration. 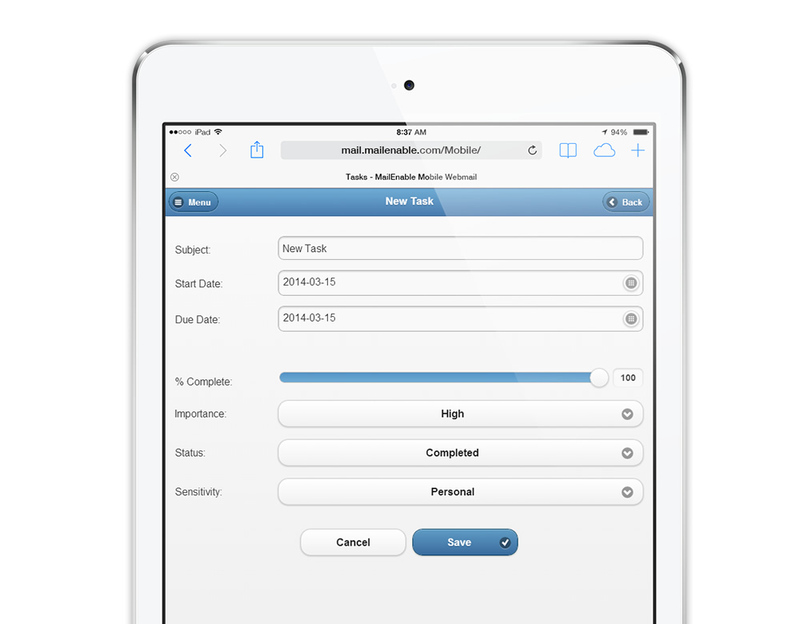 Multi-Factor Authentication provides users with additional security when accessing Webmail and Web Administration. Users can optionally be challenged for an additional code when they access webmail/webadmin from a new region or IP address. The code is generated using clients like Google Authenticator. 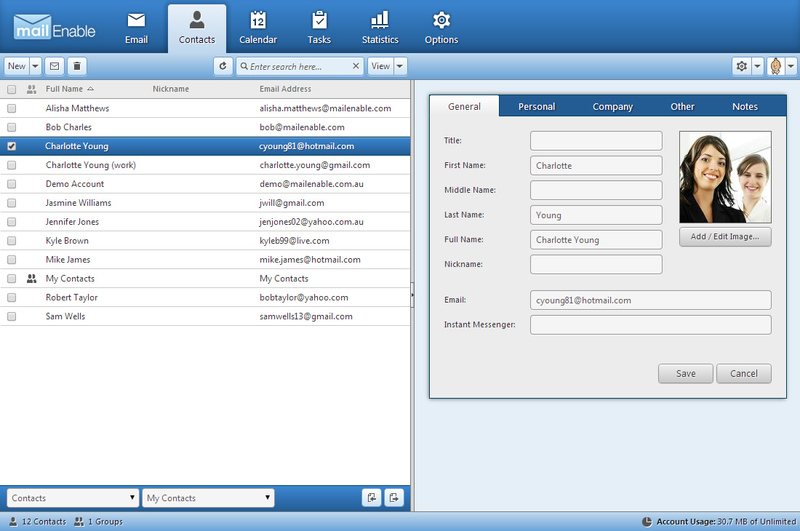 Webmail users can now pair their MailEnable account with Facebook allowing them to sign-in with a single click. This removes the frustration of trying to enter complex usernames and passwords on mobile devices. System administrators now have the option to use both the browser and/or Microsoft Management Console (MMC) to manage MailEnable services. MailEnable now provides native interfaces for managing messaging services via the browser, Remote Desktop and command line. 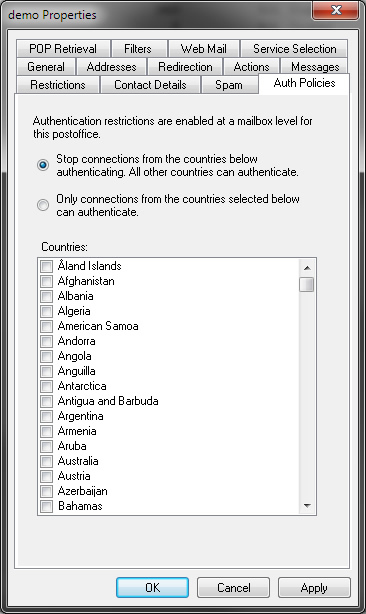 Users now have the ability to block incoming communications from certain countries by targeting specific country codes. 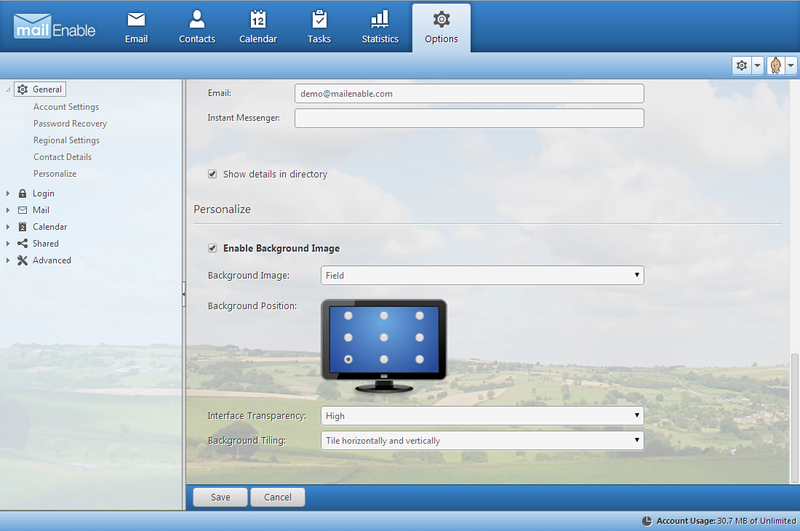 This allows the user to block potentially harmful or unwanted data from suspicious sources. Users can now set a start/end date and times for their autoresponder, to more accurately target a specific time frame where they want to activate the autoresponder. MailEnable Administration now provides IDN (International Domain Name) support, by converting domain names from their UTF8 representation to their ASCII IDN representation. 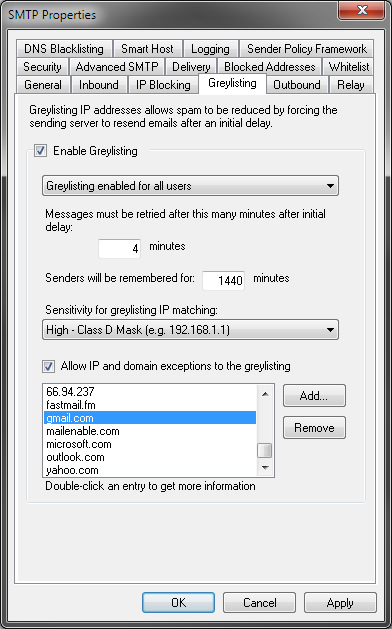 Greylisting is the most effective single mechanism of reducing spam, but its effectiveness has been limited by delaying legitimate messages (particularly from large service providers like Gmail and Yahoo!). With Version 9, domains that have SPF records can now be whitelisted by MailEnable, significantly improving the effectiveness of Greylisting. Administration has been improved on SMTP and other service abuse blocks. Users are now able to remove temporary IP blocks without having to wait for them to expire. Administrators are now also able to see the current status of the indexing service, as the number of mailboxes to index and update are shown. 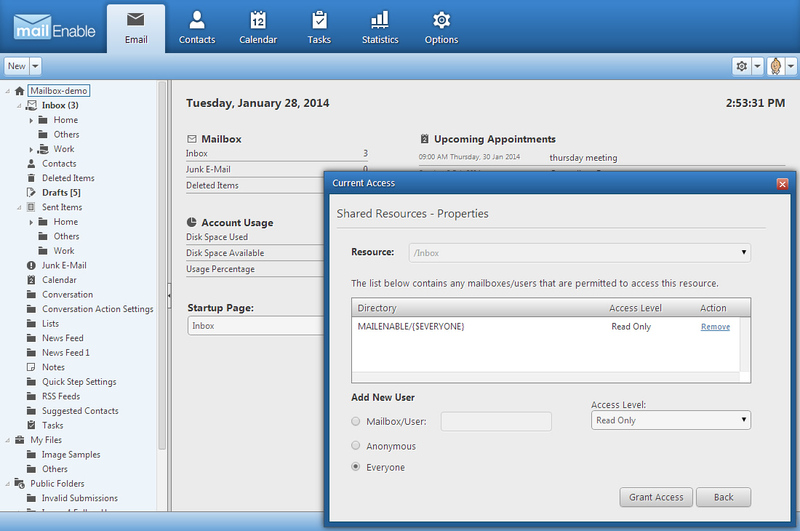 Administrators can also jump directly to the mailbox location on disk with the addition of a "View in Explorer" menu item, and easily find lists, group and directory members with the addition of a filter. Administrators now have the ability to force the postoffice connector service to execute mailbox delivery events on all messages, including bulk and system messages. Postoffices/Domains that are bound to an IP address can now be configured to smarthost all the outbound email for that domain to the one remote host. You can now specify strings for the SMTP service that will allow it to drop connections when connections use specific EHLO values. The following table outlines the availability of version 9 features in respective editions.